Wow! Lovely Farm Home in the City! 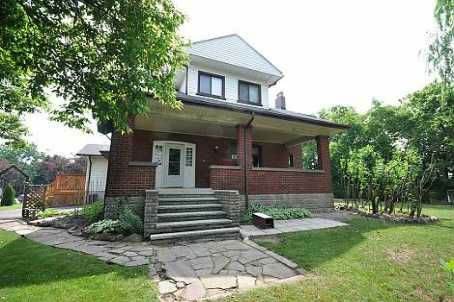 Southdown, Mississauga - Mississauga 4 Bedroom Detached Houses for Sale in Clarkson! Wow!! Lovely 4 Bedroom 2 Washroom 2 - Storey Farm Home In The City Surrounded By Greenery And Fruit Trees. Truly Farm Setting Yet So Near. Home Has Been Meticulously Preserved And Maintained With Beamed Ceiling, Plate Rails And Cornice Mouldings. Original Oak Stairwell With Varnished Banisters. Huge Verandah For Your Afternoon Relaxation Overlooking A Country Lot With Well Manicured Lawn. Boasts A Long Driveway With Ample Parking. Extras: Fridge, Stove, Washer, Dryer, All Electrical Light Fixtures, All Window Covering, New Furnace, New Air Conditioning And New Roof Shingles. Close to great schools including: Willowglen, St Louis, Iona Catholic, and more! Minutes to shopping and recreation! Close to Clarkson GO Station with convenient access to major routes! Download the brochure for more information and view the virtual tour!